Is it familiar to you when you are approaching to a checkpoint or a deadline, you realize that your goals are still far from being reached? Yet another time you fail to follow your course. It’s no wonder, as your ideas were backed up with… “a whole lot of nothing”. You’re just a lost soul fighting your way through the dense bush or woods without a compass. In order to achieve your target, you need a plan. Not those notebooks full of scribblings or non-descriptive spreadsheets, but a well-structured roadmap that will show you all the processes and tasks that are needed to be fulfilled, and the final destination at once. No matter how wildly ambitious your ideas are, a proper plan turns you from a simple dreamer with his head in the clouds into a strategist on a mission. Whether you are writing a fantasy novel that involves different centuries, planning your business for tens of years ahead, or even going to colonize Mars, like Elon Musk, you need a top-class planning tool. Roadmap Planner is just what you need. It will help you to visualize your goals and organize the whole project into easily manageable units, using task list, backlog, and dependencies. Sounds good, isn’t it? But where should you start? – Where are you going and Why? – What are your advantages? – What problems do your customers have? – How will your product solve them? The strategy does not have to be lengthy, but it does have to address your mission and vision in order to explain to others why you are providing your product. To define how your vision will be achieved, you need to specify several (3-5) key goals. They will serve you as milestones towards your final destination, and will help to make your vision a reality. If your goals are measurable, actionable, and easy to understand, they will always keep your team on track without losing a sight of the whole picture. As a next step, you have to establish initiatives that specify the work that must be accomplished by your team. The initiatives will help to build a balanced operational plan to successfully reach your goals and deliver against the strategy that has been set. Both goals and initiatives are the links that complete a full circle of your product roadmap. When they are used throughout your roadmap development, all the work becomes clearer. Roadmap Planner lets you easily consider all these steps and tasks within a single document in a few clicks. You don’t need to be a tech-savvy to build a product roadmap. With our top-class planning utility, you will successfully develop a visual plan that will take you somewhere meaningful. 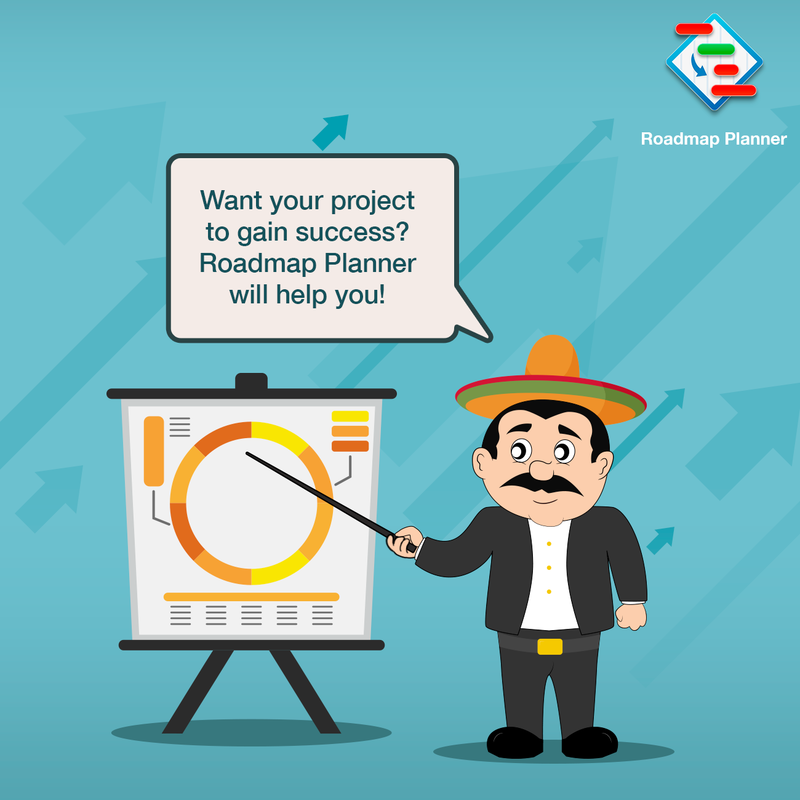 Start making your strategic decisions with Roadmap Planner now. Roadmap Planner is Now on iOS with Tons of New Features!